Located between Canggu and Tanah Lot, a simply gorgeous wedding villa is awaiting and its namesake says it all; Eden! Not too far from what some may imagine the Garden of Eden to appear like. 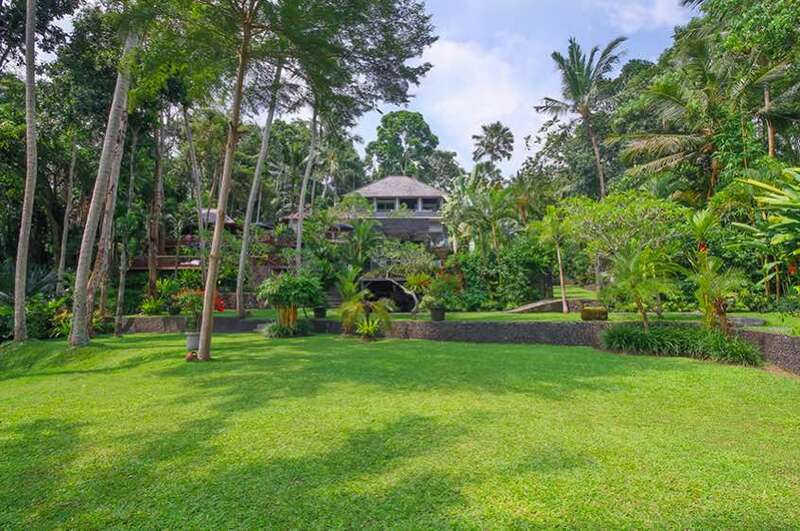 A majestic 4 four bedroom residence, Villa Eden Kaba-Kaba is far enough away from the bustling tourist areas which makes it the perfect place to have your wedding in Bali. With rice terraced views, manicured tropical gardens and a glorious infinity pool, the lucky couple & guests will have the perfect wedding ambiance complimented by warm and friendly hospitality provided by the Balinese staff. The villa even has a separate tree house pavilion, fully self contained for post wedding accommodation. Rolling manicured lawns, cascade down the sloping property to a peaceful, meandering stream. But before all of that the villa boasts extensive patios and outdoor dining terraces, perfectly positioned to take full advantage of the amazing views of the 18 metre infinity pool and lush tropical flora beyond. This is such a gorgeous area to have your wedding photos taken. 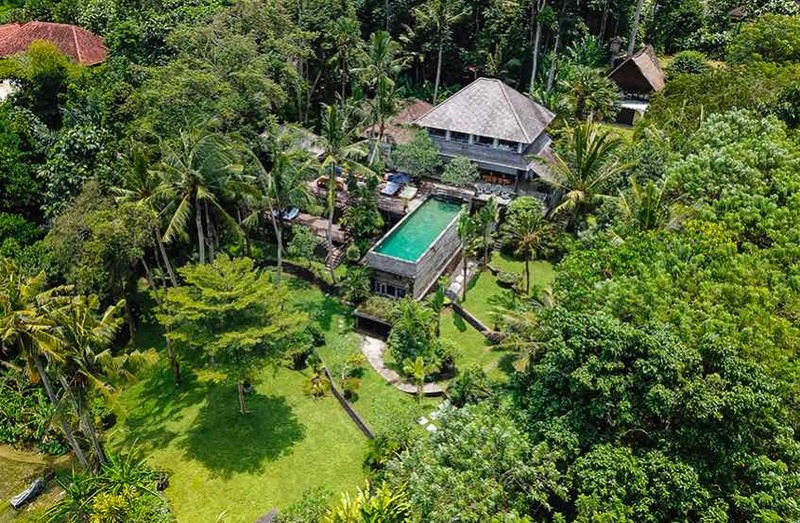 The villa provides three main living spaces, the first off the Master suite, a second living space is combined with the kitchen area and the third living space is open-air sitting between the main pavilion and delectable tree house residence with its own private living space. A choice of two dining areas, either by the kitchen in air-conditioned comfort or dine by the pool al-fresco style, or even in the gardens bale. An air-conditioned media room provides maximum comfort and some privacy if you care to watch a DVD, some live sport or your favorite sitcom on live satellite channels. The kitchen has it all; oversized fridge, oven and grill top, microwave, juicer and coffee machine. There are four bedrooms with the option for an additional single bed to sleep up to 9 guests. The main pavilion houses the Master Suite with two more rooms adjacent on the same level. One of these rooms can be converted for media and entertainment or possibly a children’s bedroom. On the lower floor are two more bedrooms with private en-suites and the fourth bedroom is located in a fabulous, self-contained tree house complete with living areas, entertainment facilities, en-suite, walk-in robe and its own private balcony where you can relax, listening to the calming noise of the nearby waterfall. The villa has a team of friendly long serving staff, experts in providing exceptional service, cooking services and private butlers and chef services. Oh, and you have a private chauffeur as well with free use for 8 hours per day excluding petrol costs. The villa manager can handle all your bookings from restaurants to day trips around the island. And if a little pampering is in need, the staff offer a complete spa service, with an extensive menu of therapeutic treatments. 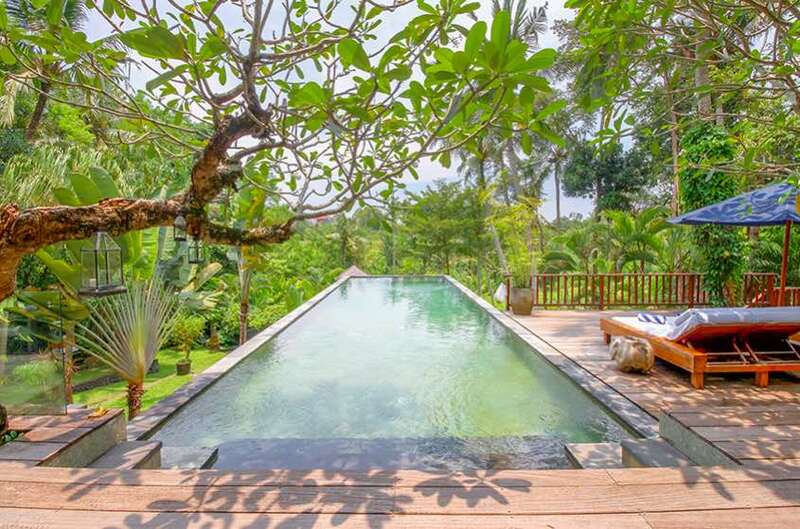 The villa is well positioned for a romantic Bali wedding, close to the great beach life of Canggu, teaming with cafes, restaurants, yoga studios, boutiques, day spas and so much more to explore. For the health conscious try Beetlenut and Green Ginger cafes. Old Mans, Finns Beach Club and The Lawn are great afternoon sunset hangouts. Try Amo Spa, it has a sauna, Jacuzzi and even a steam room for a detoxing experience. A wedding at Villa Eden is ideal is you love the relaxed Canggu lifestyle. If you are keen to know more about Villa Eden for your wedding please contact Cindy at Your Bali Wedding. To see other Wedding Venues or to speak to our head Bali wedding planner please contact us today. Check in time: 14.00 PM. Check out time: 12.00 PM. Day use: until 18.00 PM with additional charge 50% of published rate.